Quality Fab, Inc. in Ariton, AL is a metal fabrication company. Welcome to Quality Fab, Inc. 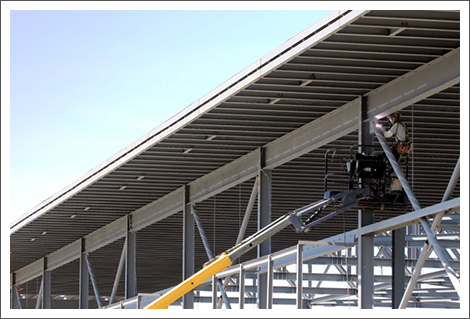 Does your business require different types of truss conveyors or specially designed steel structures to meet your specific needs? Call Quality Fab, Inc. in Ariton, AL for all your structural steel requirements. We are a full time metal fabrication company offering tailored solutions to businesses for fast and efficient material handling in all types of manufacturing units. Our 55,000 Sq. Ft. fabrication unit is well equipped to design and deliver various types of support steel and transfer towers for businesses of all sizes. Our trained professionals are well-versed in plate work and metal designs that are required in the material handling industry. Copyright © 2017 Quality Fab, Inc. All rights reserved.